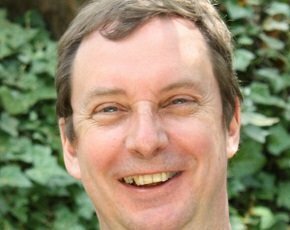 Tony Singleton has one of the most challenging jobs in government IT - and, as of this month, an OBE to go with it. As director of the G-Cloud and digital commercial programme at the Government Digital Service (GDS) he is responsible for enabling the public sector to fundamentally change the way it buys IT. It’s a role he sees as integral to the IT transformation agenda within GDS. “I took this position to be part of the real big digital revolution across government,” he says. The G-Cloud programme was created two years ago to help break lengthy government contracts, reduce costs by moving to an IT “on-demand” model and create a diverse supplier market away from the “oligopoly” of suppliers and the mega-contract merry-go-round. Singleton took over as director when the programme moved across to GDS last year. Since then there have been concerns that the project might lose its identity and focus - being subsumed by GDS and becoming “just another IT project”. Singleton is adamant it is not. “It was a conscious decision when G-Cloud first moved into GDS that we took stock of where G-Cloud was and defined the future strategy and direction for the programme as a whole,” he says. When discussing the strategy of the programme, Singleton is refreshingly free of management jargon. Tasks ahead include the “facilitation” of procurement between buyers and sellers and the need to “educate” the wider public sector about the service, but he adds both times: “I don't like that word”. The phrase “business as usual” is also out, as it denotes too much of a “job done” attitude. So it's not surprising he balks when asked about meeting targets. “It's not about targets. I don't do targets. It's about transformation. If I set my sights on the idea that I need to spend 50% or whatever that particular target is, that is when you start getting perverse incentives. And then there's no point in worrying about transformation. Either that or I become a salesman. And I didn't take this job to be a salesman,” he says. The Digital Marketplace will be a key vehicle for achieving this goal and in September 2014 will replace the CloudStore - the current front-end catalogue of G-Cloud services. The intention is to increase sales by improving the user experience. “We are completely rebuilding it and redesigning it around user needs, as you'd expect from GDS,” he says. Singleton and his team of 25 are working with suppliers to make their product and service definitions a lot clearer. Buyers will be offered the chance to rate the usability of a service description, although he is quick to add this feature is not intended to be a digital government equivalent of TripAdvisor – and the feedback will not necessarily be publicly available. But it will help to weed out heavily search-optimised descriptions, which do little to inform the buyer of what is being sold. In addition to replacing the CloudStore, the new platform will also include other frameworks, with the Digital Services Framework to move over next year and another earmarked to join. This is part of the work to reduce the current number of IT frameworks in use across government. “With the Digital Marketplace we want to make it even easier for buyers and IT teams to go to a single place to buy services that they need - and with 27 frameworks they are never going to achieve that,” says Singleton. The platform is being built in-house, with the alpha test version released this week. “We don't have to go back to some big proprietary piece of software and tinker with it. We've done a bespoke build that will allow us to continue iterating and continue improving,” he says. Other improvements will include a Q&A session on the service descriptions; the publication of a step-by-step buyers’ manual; and embedded videos. G-Cloud sales are moving in the right direction, with total spend through the framework now nearly £200m. But Singleton’s team still has substantial challenges ahead in gaining broader public sector traction. Apart from a few exceptions, local authority sales are still negligible. Yet it’s the area of the public sector with most buying power. Singleton says it is not central government’s place to force local authorities to buy through the G-Cloud, but there are plans to encourage uptake. Local authority events are ramping up and the team is undergoing a fact-finding exercise with public sector IT body Socitm to discover why the G-Cloud might not be meeting local authority needs. It will then respond by putting appropriate measures in place to improve the service. Case studies are also being developed to encourage use of the framework. “It's getting those sorts of messages across. It gives us cash savings - we know that. But it's also about the transformation benefits, how can services to citizens be improved, and how is that then going to free up resources in local authorities, to re-invest in line with their spending priorities, instead of wasting it on tin and servers,” says Singleton. The other sticking point when it comes to the types of sales to date is that most are still concentrated around consultancy services, suggesting buyers are yet to fundamentally invest in the IT aspect of G-Cloud. According to an analysis of recent Digital Marketplace sales transparency data, nearly 80% (£152m) of the total G-Cloud sales to date are through the "specialist cloud services” category. But Singleton says these ratios are set to change, as a number of major government contracts finish over the next 18 months. GDS, along with chief technology officer Liam Maxwell and his team, are actively examining the future G-Cloud market to determine which contracts can be moved to cloud-based services and how G-Cloud can help with that transition, he says. All of that ties in with the spending controls and departments’ commitments to cloud-first procurement so the G-Cloud will become “the way they are going to buy infrastructure services”. Civil servants believe government departments lack skills to achieve "digital by default"
For Singleton, G-Cloud is a “whole new way of doing business” and should be viewed as an holistic part of the overall digital programme. “It sits alongside the transformation programme of exemplar services, and also the role that Liam Maxwell has in IT reform and the digital spend controls. This means we can start taking G-Cloud to the next level,” he says. Helping buyers to understand what they are delivering and how they deliver it is most important, he says, citing an example of one procurement chief complaining that changing contracts every two years under the G-Cloud was too much hassle. “But you change contracts sometime anyway, and you should be driving prices down. So, if it all becomes too much of a rigmarole, then something is failing somewhere,” he says. “It's around educating organisations and saying, 'This is how you should be doing things.' And this is part of the G-Cloud digital services marketplace. The personal commitment of the original five-strong G-Cloud team – led first by Chris Chant and then by Denise McDonagh - was in many ways responsible for getting the project off the ground in the first place. So with their departure and the move to GDS, is there a danger it has undergone too much of a culture change?